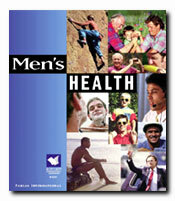 Covers the special health concerns of men. There's something for every man in this collection of articles designed exclusively for men. Includes important injury prevention tips as well as information on specific diseases and conditions.